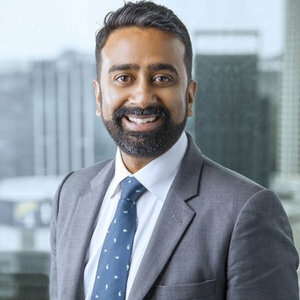 NZAL Established member, Nikhil Ravishankar spoke to NZAL’s Priti Garude, Marketing and Communications Manager on his journey to NZ, his diverse bunch of friends, on being a “failed entrepreneur” and how he learnt of his own unconscious bias while leading a team of 100. My parents moved to New Zealand in 1996. I finished my high school here and then studied at the University of Auckland. As a new immigrant, I worked almost from the day I arrived. I worked multiple, odd jobs all the way through university. Back then, it was quite a challenge as a new immigrant family, we all had to do our bit and that is an important part of my story. It has been quite instrumental in establishing and shaping my work ethic. To be honest, I had a nightmare start. We moved here in winter and it wasn’t the weather that was tough on me. As a teenager leaving all your friends behind and coming to a new place was quite difficult. I went to an all-boys school, which is quite an unforgiving environment. So, I went from being the cool kid to an outsider – someone who dressed funny, sounded funny, it was a hard time. But when I look back, I believe that experience also developed my resilience. It was really when I started playing sports that I was accepted and started to make friendships that have endured over the years. In NZ, sport is such a big thing, and it was sports that helped me integrate in to the NZ culture. My friend-set has always been a diverse bunch, a collection of “outsiders”, with a few people from NZ who found that diversity very interesting. Mobile Life was launched during my University days. My peers and I were always very interested in what was happening with the internet, always testing the boundaries of services that could be delivered online. At that time, mobile was starting to grow its foot hold. We started thinking about the power of mobility and internet, and from that, an idea of mobile as a virtual broadcasting center, was born. It was built out of interest in the limits of digital disruption and that every human being has the technology to become their own broadcaster. We had a great time building the company, received support from NZTE, gained capital from other investors, 6 to 8 people working full time or almost full time. And we did okay, but we were a bit too early to the game. Mobile data rates were too high and people would literally challenge us in sessions and question us such as “What do you mean people would watch videos on their handset? It’s too small, no way would people do that, there is no network that can manage it, or would allow for it”. They made us look and feel like idiots! I’m a failed entrepreneur. I attempted to start my own business, ran it for a few years but it sort of frizzled out. It was a very humbling experience. Though we were right about the way people’s lives would change because of these disruptive technologies, like mobility in that instance and access to the internet, video technology and so on, our timing was not quite right. It was a combination of timing, the environment that we were in but also more importantly the 3 of us weren’t very commercial guys. We were literally the cliché start-up guys and we didn’t surround ourselves with people who were commercial. You don’t know what you don’t know. So complimenting the team with people who bring stuff that you don’t bring, is a very big message of diversity. Recognizing that not everyone needs to look like you, or talk like you or more importantly bring the same skills that you bring to the table, as obvious as it sounds. We were too young and too naïve to recognize the value of that. In the cold light of the day, it was the best experience that you could hope for, because it taught me some very valuable lessons but it’s still too raw to say that it was learning experience. A lot of blood, sweat and tears went in to it, so I still feel like mourning it. It is easy to start, but you need to be very focused and disciplined and to an extent brave, to stop things that aren’t going to deliver the results. I had a boss who kept saying that your most accelerated learning happens when you go through failures. In the digital start-up game, timing is a very precious ingredient. Sometimes its easy to let your ego get the better of you, but the timing needs to be right. Failing is not a bad thing and learning from your failings is the best thing you can do. I never run away from talking about MobileLife, I’m very proud of it actually. The NZ in early 2000, was nowhere near entrepreneur friendly as it is today. Even today, it is light years behind some of the more leading cities in the world – like Silicon Valley, San Jose, San Francisco, Israel, in terms of support network around entrepreneurship – places where they really embrace innovation. We talk about it a lot but we’re not quite there yet. But we are a lot better than we were in the 2000. Coming from NZ, representing minority myself, I was expecting that going into a more diverse organization like Accenture will be easy. But I hadn’t paid attention to my own bias, preference which had developed obviously growing up in Auckland. Ironically, I struggled with it. My biases and preferences were not bad, they were just different. I thought I would have to work less than any body else, around working with other cultures and diversity, because I’m an Indian from NZ. In my mind, I was the poster child for diversity but in fact I was the opposite. So, when I was in Hong Kong, I led a team of about 100 from Bangalore and a couple of months down the line, I was struggling to motivate them. If you want to make diversity work for you, there are a lot of things personally that you need to do, to understand what it really means, it does not happen automatically. Working with mainland Chinese versus the Hong Kong team versus working with the Australians or the Americans, it is easy to put people into boxes but you have to be fully open minded and work at it to start leveraging its power. Some of the most close minded thinking I’ve seen is from people who come from similar backgrounds. Since then I’ve never thought of myself as being in tune with diversity and its power – I’m just like everybody else and I have my own biases, shortcomings and I just need to work at it. The highest order of topic in diversity should be diversity of ideas and how it creates genuine new value. Everything else is just a means to an end. Be it gender diversity, ethnic, religious, sexual preference, or any other form of diversity – at the end of the day, all of that is secondary to diversity of ideas. Staying within your comfort zone with the type of people you like to interact with or you identify yourself with, is just restraining yourself from getting access to those diversity of ideas. There is some incredibly powerful technology that is very egalitarian in the way it impacts society. Technology isn’t racist, technology isn’t biased, technology has the power in being an equalizing force. Over the next 3 to 5 years, there will be some incredible technology that is going to impact over lives in more ways than we can imagine – machine learning, robotics, AI, big data analytics, VR, AR, Internet of Things. These things will have an impact on every part of life and if I was a young person coming through the ranks today, I would be really focused on understanding what those technologies were and the possibilities that it can bring. Both in isolation but really the magic happens when they combine together – the multiplicative effort of all these technologies that I think no one is immune to. On a personal front, I think there are very few places around the world that are as accepting of new ideas as New Zealand and specifically Auckland. But we can not get complacent and need to work harder to ensure that Auckland remains that way – and that for me is one of the attractions of being a part of NZ Asian Leaders. We should not think of breaking down barriers as a chore but really look at it as a privilege. Apathy is the most dangerous thing in all of this. To think that a certain person is racist, and hence you are going to give up on them and move on, it’s the point at which you’ve rolled over and died. It’s not a chore at all, once you break down that barrier, that’s where lies real value.